The Rocks area of Sydney. 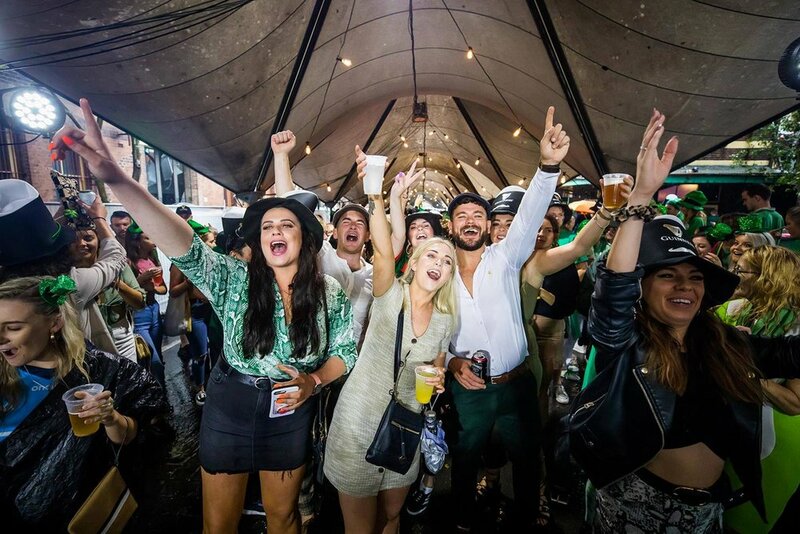 SYDNEY’S historic precinct The Rocks looks set to host the official community celebration of St Patrick’s Day in 2019. The news was revealed at the recent sold-out Christmas Ball fundraiser at the Shangri-La Hotel. The Irish Echo understands that the 2019 celebration will transform The Rocks into an Irish village with live music, stalls and family-friendly activities. There are also plans for a children-focused parade from Circular Quay to Dawes Point Reserve and a citizenship event at which eligible Irish nationals can become Australian citizens. The family friendly event will take place on St Patrick’s Day itself. which falls on a Sunday next March. The proposed move to The Rocks, which has yet to be finalised, marks a positive new direction for the volunteer-run event. The Rocks is an area which is rich in Irish Australian history and includes one of the country’s best-known Irish pubs, The Mercantile. Sydney has not staged a St Patrick’s Day Parade since 2014 when a rainstorm resulted in the event losing tens of thousands of dollars and facing possible financial ruin. As a consequence, there was no official community celebration in 2015 but a determined fundraising effort resulted in the event returning in 2016. The construction of the light rail and street closures in the city ruled out the possibility of a city parade and access to Hyde Park, which had hosted previous celebrations, had been lost. So organisers moved the celebrations to Prince Alfred Park in Surry Hills. However, rain again forced the cancellation of the so-called Green Gathering. Then, last year, organisers moved the celebration to The Entertainment Quarter in Moore Park. Sydney St Patrick’s Day Organisation president Karen Murphy said the committee was excited to share the news about The Rocks event. “We have listened to the community and heard the desire to bring the celebrations back to the city,” Ms Murphy said. “And so, St. Patrick’s Day 2019 will see the return of a parade to the CBD. 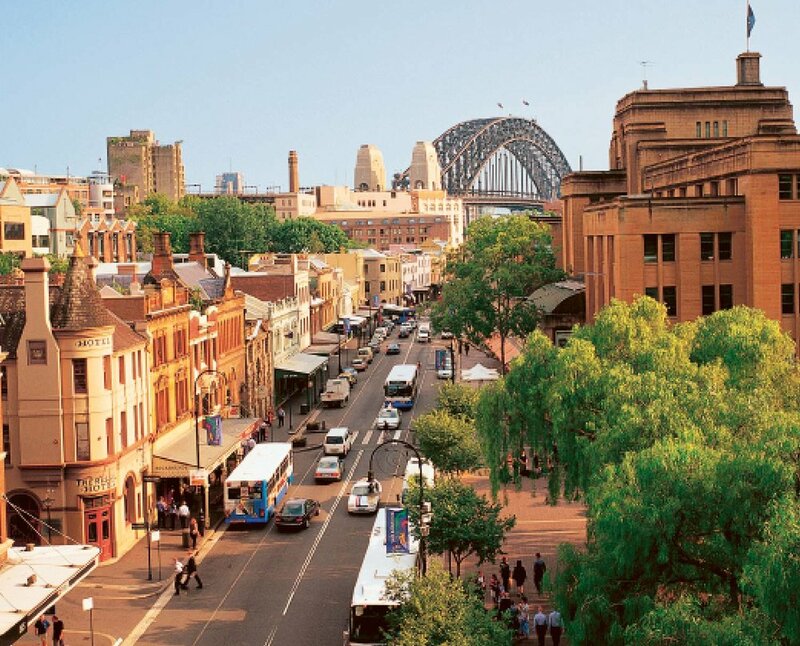 “The Rocks has many historical links to the Irish community in Sydney, being one of the first places Irish people settled when they arrived in Australia. Sydney will one of the first cities in the world to celebrate St Patrick’s Day and the committee president said the new location will offer the opportunity to showcase the best of the harbour city. “With the iconic backdrop of the Sydney Opera House and the Harbour Bridge, we hope it will be a magical day for all those who attend the celebrations,” Ms Murphy added.